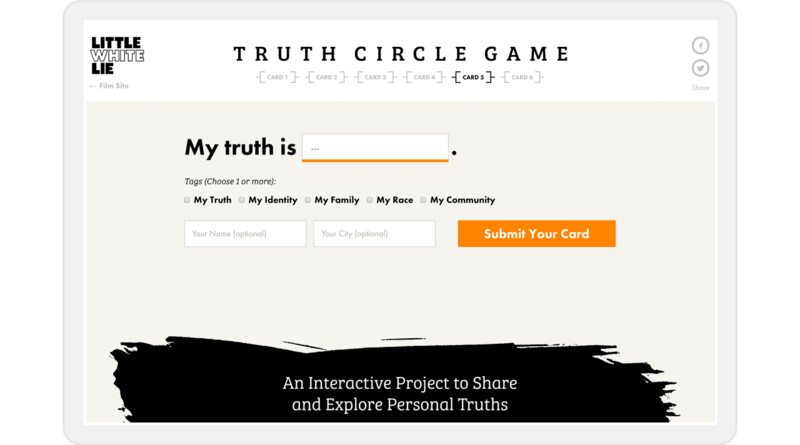 An interactive project designed to share and explore personal truths. 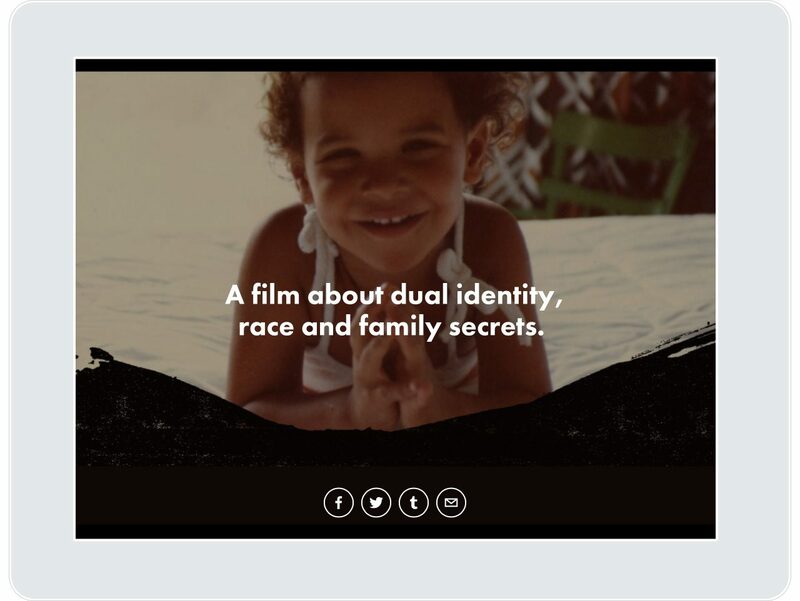 Little White Lie is a powerful documentary about dual identity, race, and family secrets. 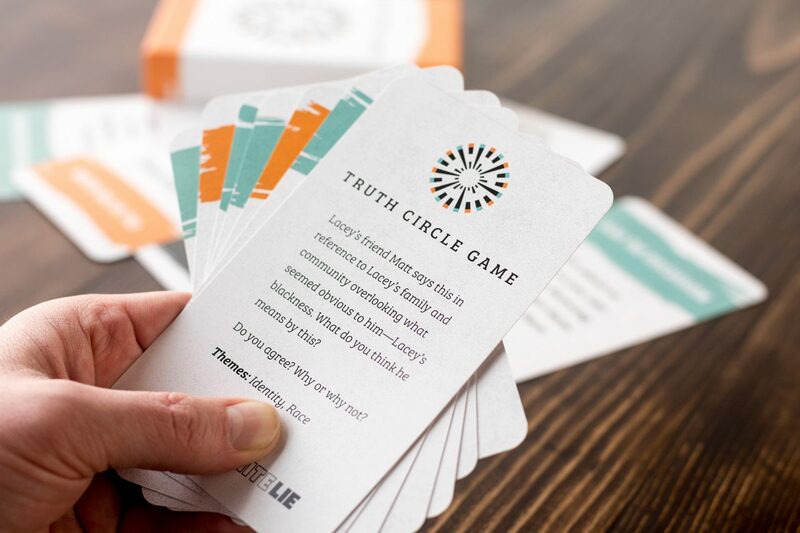 For the film’s social action campaign, the advocacy firm Picture Motion conceived the Truth Circle Game, a multi-player card game with the goal of generating deep dialogue following screenings of the film. What defines our identity, our family of origin, or the family that raises us? How do we come to terms with the mistakes of our parents? Director Lacey Schwartz discovers that answering these questions means understanding her parents’ own stories as well as her own. The feature documentary was produced by Truth Aid and premiered at the San Francisco Jewish Film Festival in July 2014. Starting in June of 2015, you could stream the film on Netflix. As it was screened at festivals and in communities across the U.S., Picture Motion led efforts to engage more people with the important themes at work in the film. We were brought in to help execute their strategies. Create a brand that speaks in one voice across multiple aspects of the film’s marketing efforts. 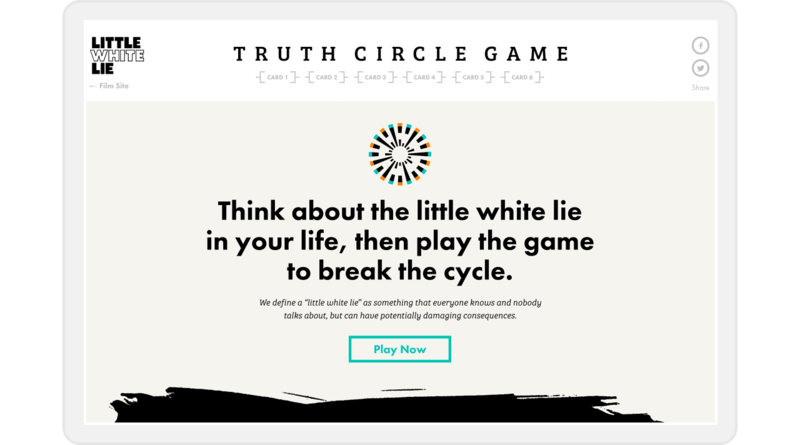 For the film Little White Lie and the Truth Circle game, craft an integrated campaign that unifies the project and illuminates the core film themes across print and digital. Our process explored the themes of personal identity, family, community, and self-esteem. 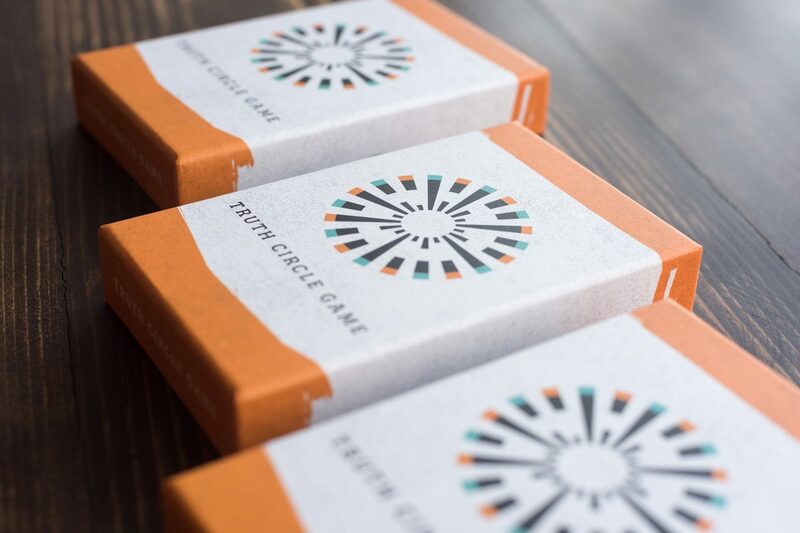 Mindful of the complete story the design would tell, we organized our tasks into branding, the physical card game, website UX update and design refresh for the film, and a standalone microsite designed and developed to be a completely unique experience. 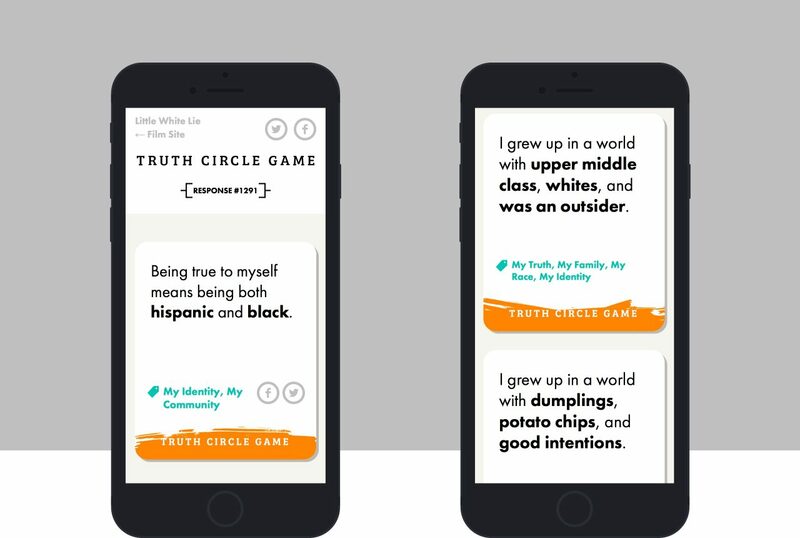 It was important that everything felt cohesive, but we were most mindful of crafting an action app that would compel visitors to share personal stories similar to what’s uncovered in the film. For the branding around the film, existing assets included a logo, film stills, social graphics, and Squarespace website. We started with what was working, refined the branding, and explored opportunities to bring out the core emotions in the film. The brushstroke concept added a sense of urgency and personalization to the brand and would help us link the various elements used in the campaign strategy. 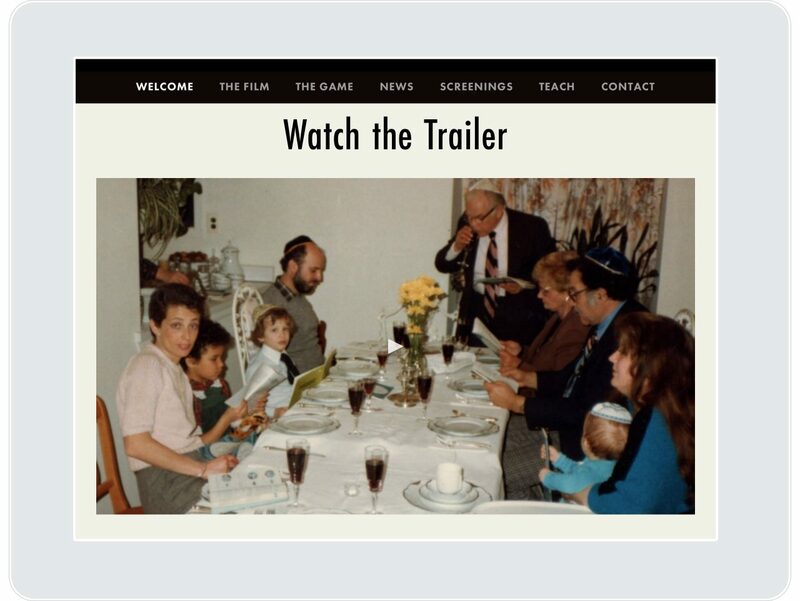 For the film’s website, we refined the site architecture, established clear calls-to-action, and designed a more complete, long-scrolling homepage. 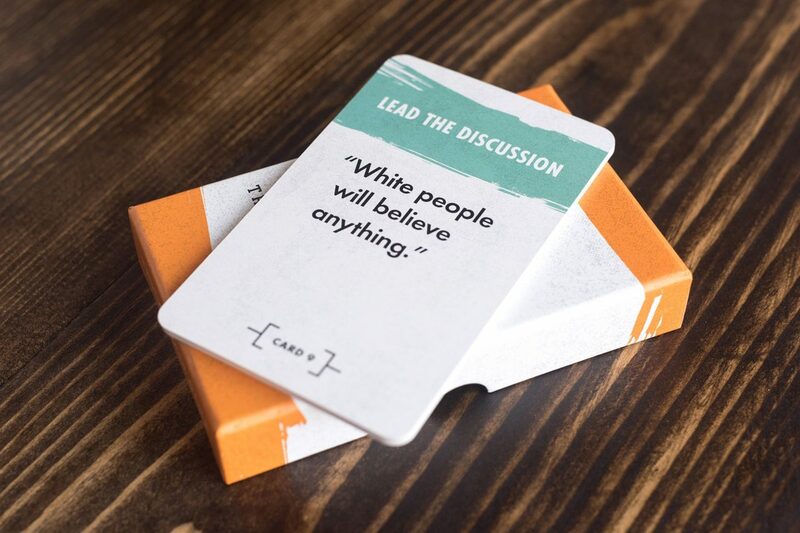 With the Little White Lie brand refined, we had a foundation to move into branding for the game, design of the card deck, and the development of a web app for the game to be played online. For the game, we explored several concepts and ended up on a design with bright colors and a gritty urgency. The circular logo was designed to represent people coming together to look inward and to try to form an understanding, each block moving in differently, at its own depth. 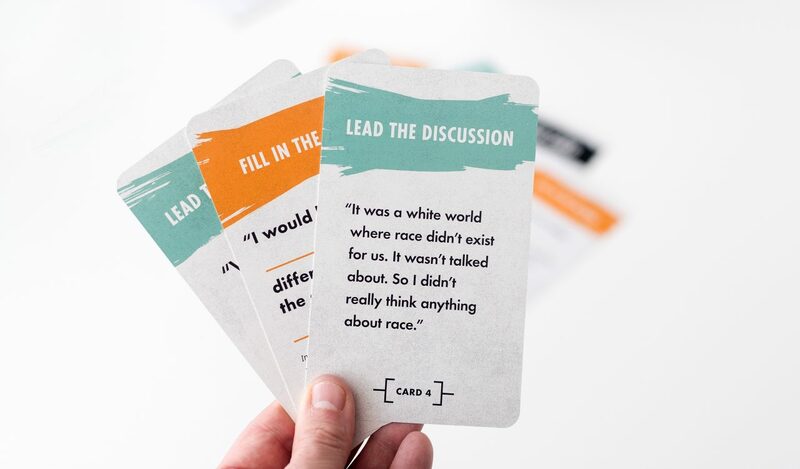 The game deck was conceived with 14 cards, either fill-in-the-blank or discussion-based. 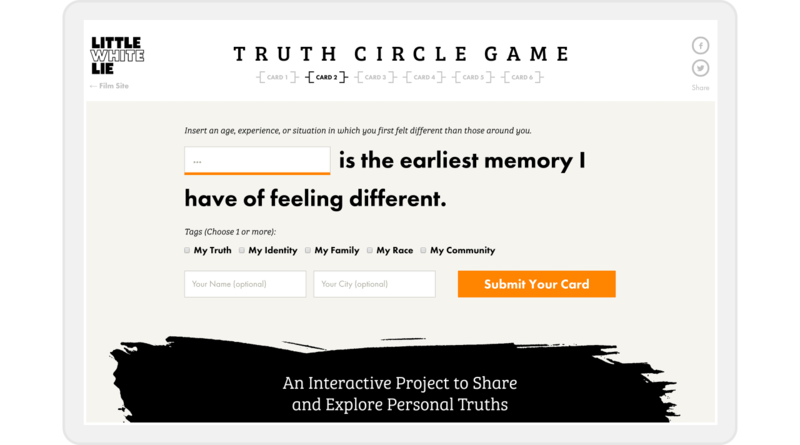 The biggest piece of the project was the online version of the Truth Circle Game. 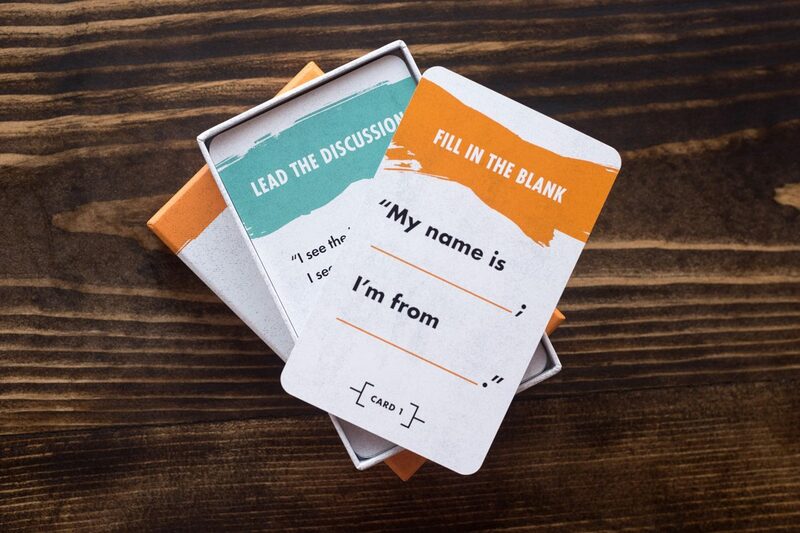 We took the fill-in-the-blank cards and translated those into a simplified, individual user experience. 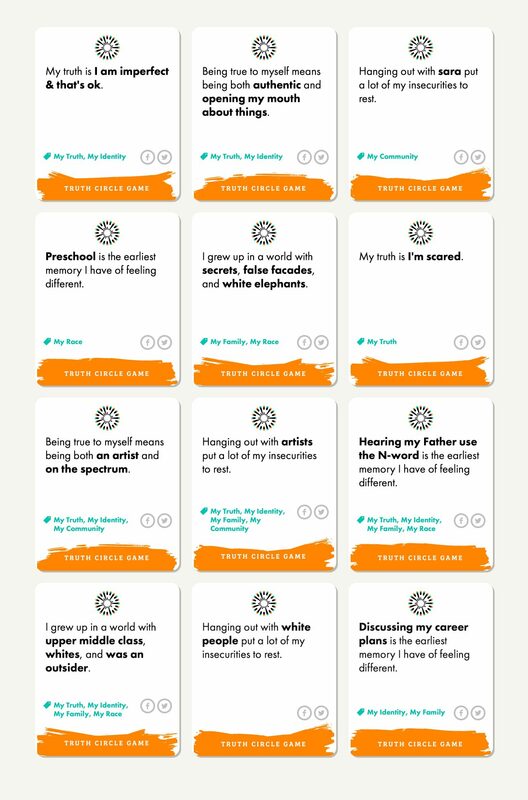 Six cards in all, people are asked to describe their community growing up, what it means to stay true to yourself, and what their personal truth is. We designed the site to be as simple as possible. 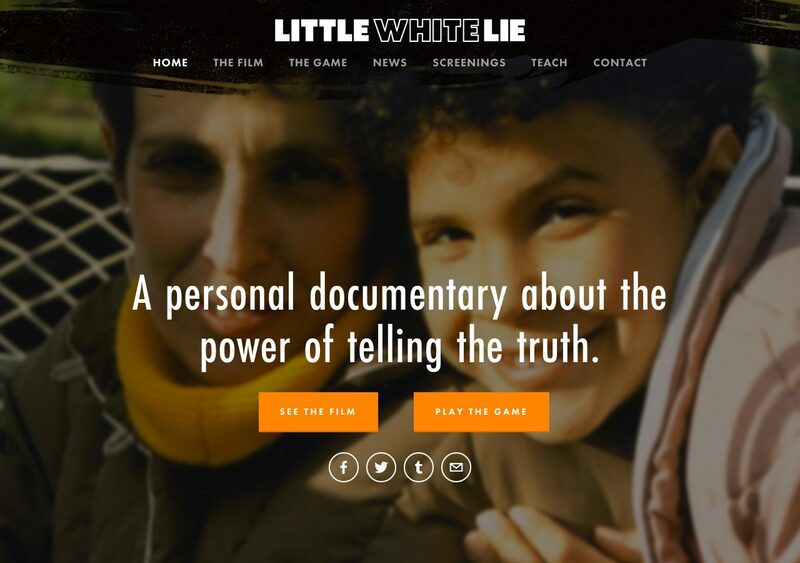 It has its own unique design sense with the brushstrokes and typography being the strongest visual links to the Little White Lie brand. Developed to be light, responsive, and shared. 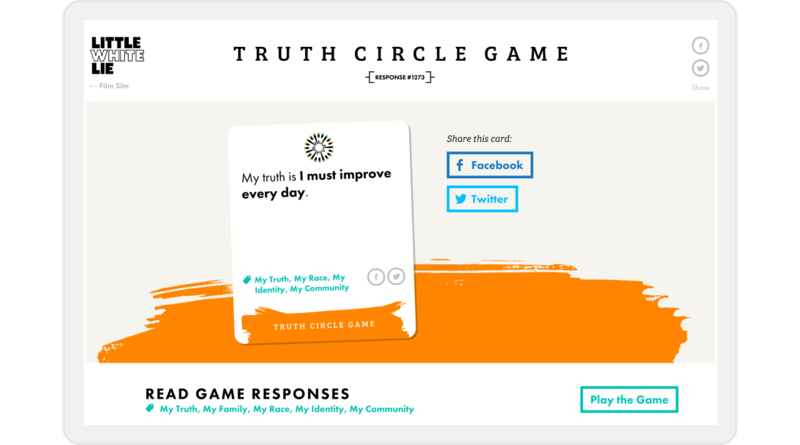 The interactive Truth Circle Game launched in the fall of 2015. Facebook Twitter Email To drive discussion about family secrets, denial, and the power of telling the truth.